Last week I attended the opening of a fabulous little boutique located in the trendy Boston neighborhood known as the South End. Twelve Chairs is a home furnishings boutique that also offers interior design services. The cozy shop is filled with perfectly curated home decor and unique gifts. I was completely smitten with every single piece in the space and wound up buying a few hostess gifts for our quick trip to Vermont as well as some everyday paper goods for our own use. 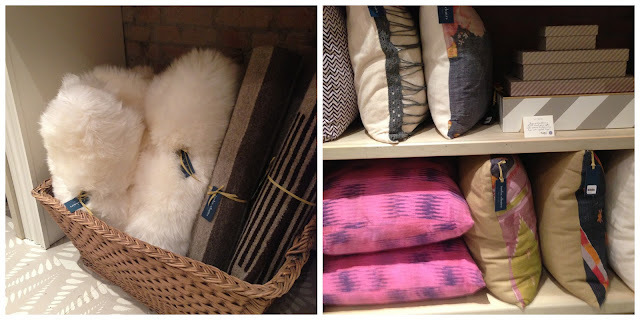 I however have been dreaming of the lush sheepskin throws to replace the one we have on our couch so I think I will be heading back to the shop asap to stock up on some bigger ticket items. Take a look below at some of the photos I snapped in this super stylish boutique and if you are local, make sure to pop in! 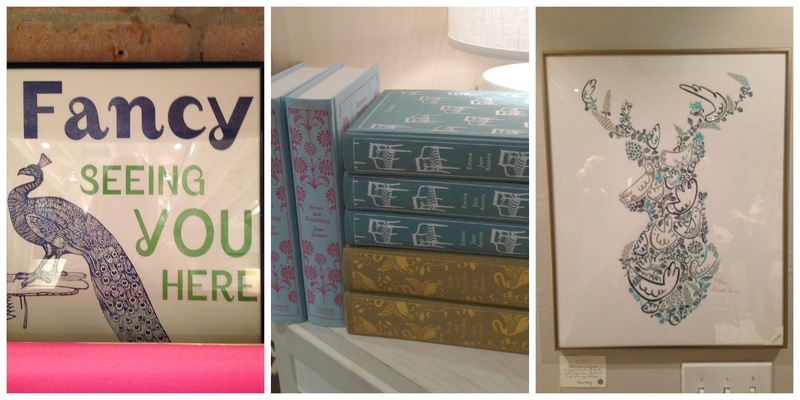 The display for the Rifle Paper Company cards was so beautiful. 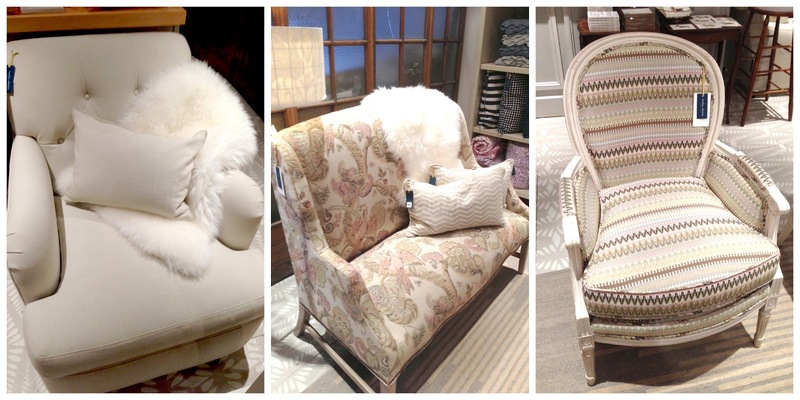 I was loving their mix of patterns and textures on all the furniture. That lovely little chair below totally was giving me a Missoni vibe. I would love two of them in an office for comfy meetings. 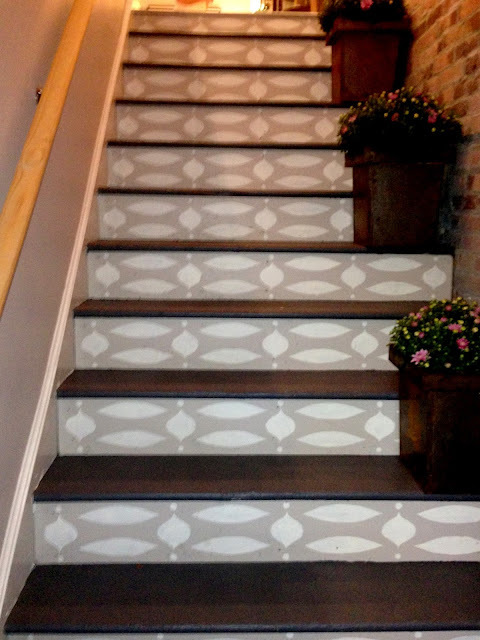 How awesome are these painted floors and stairs. 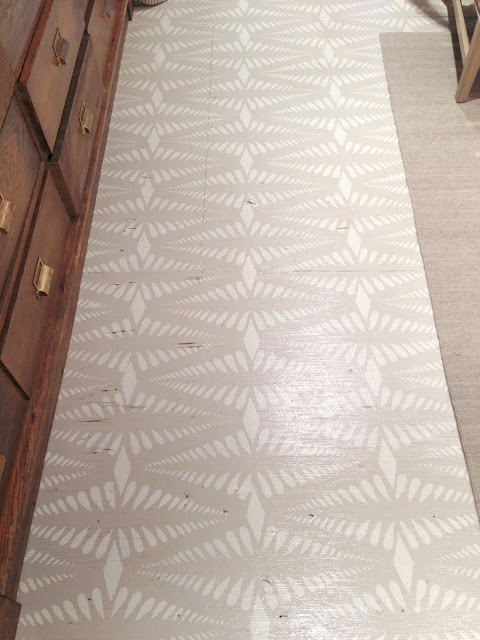 Such a clever way to disguise old damaged floors. 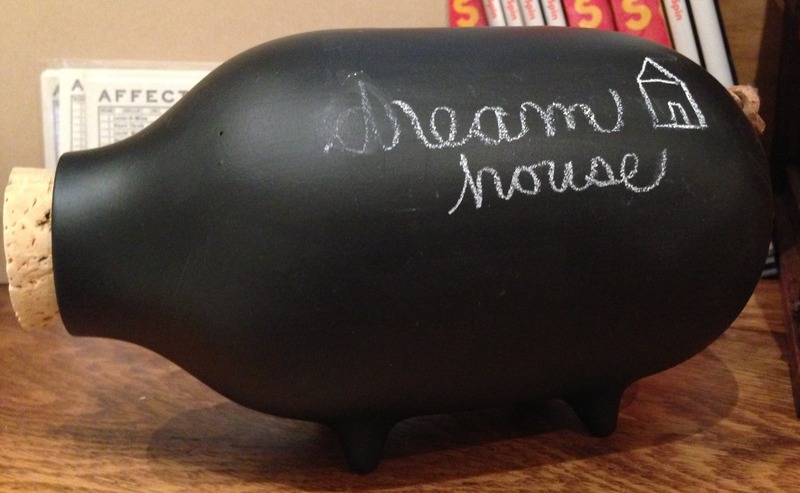 This chalk piggy bank is such an adorable gift for kids big and small. 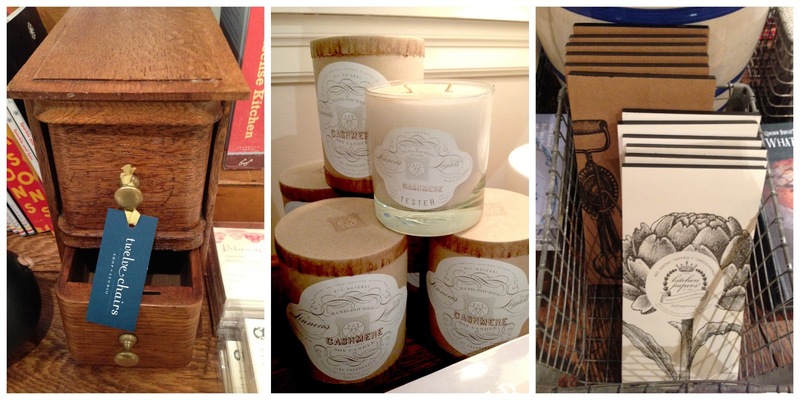 Soothing scented candles, vintage style recipe card holders & adorable kitchen papers. Those sheepskin throws are the softest thing I have ever touched and those bright pink pillows would be perfection for a pop of color in a neutral room. Big thanks to my friend Amelia for inviting me & introducing me to such a city gem. 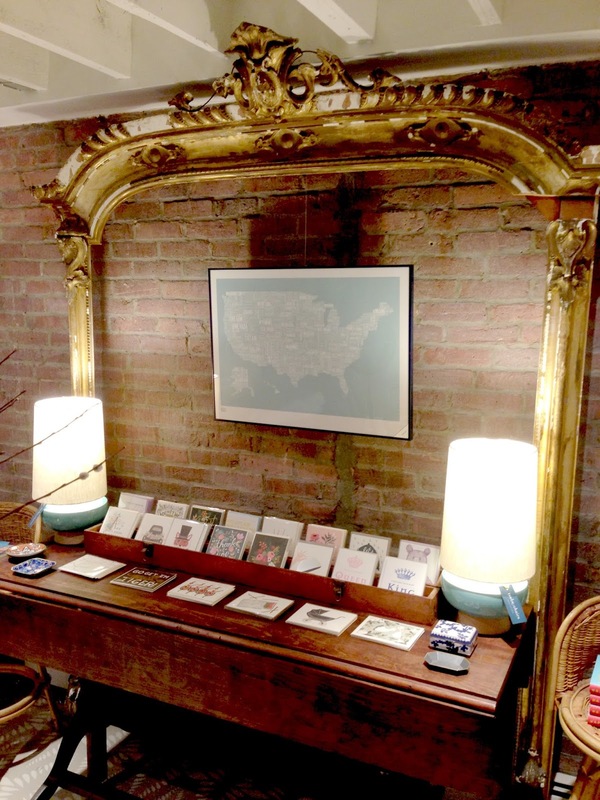 i loved their fort point shop and bought a chair there so look forward to seeing their new space! nice sneak peek pics!